 Ma'at (Goddess of Truth and Justice) copper shapes. 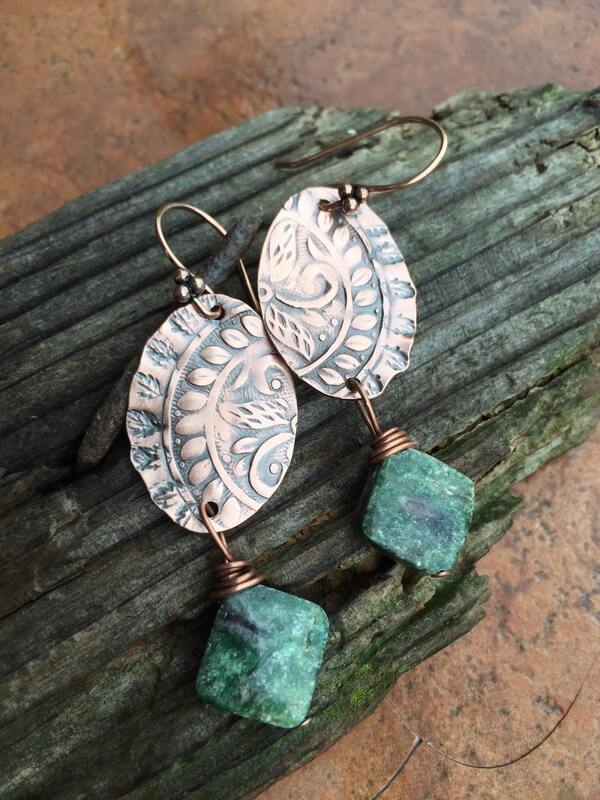 My newest textured copper shapes! This beautiful texture has so much movement in a boho kind of style with feather/leaf stamping on the square and oval for a feathered look. 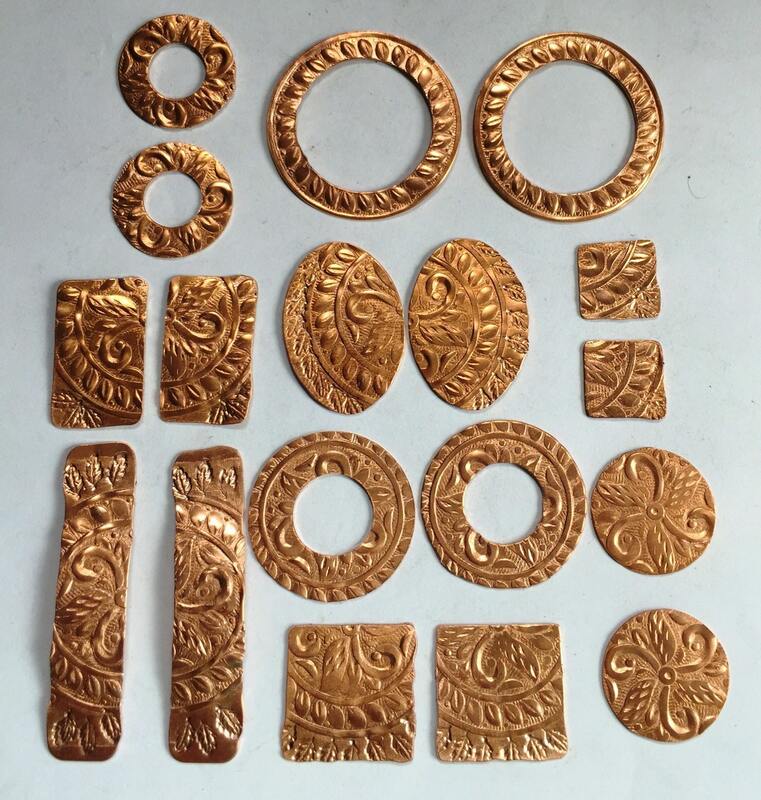 My Ma'at components are 24g copper sheet - edges finished but natural - solid &RAW (no coatings) copper - as seen. 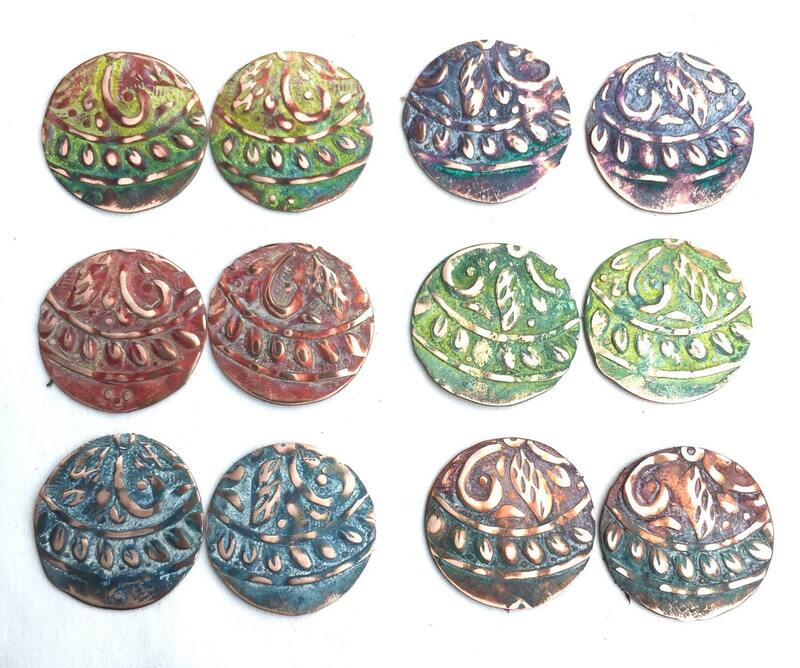 These are ready to add your own patina, oxidizer, buffed to a shine or enameling. Sizes run from 1/2" squares to 1.25" round washer and 1 7/8" x 3/8" rectangles. Perfect sizing for all your jewelry making and scrapbooking needs! Components will come flat with 1 hole top - UNLESS message is left with other options for Holes or Doming - I am happy to mix up shapes..please leave a message when checking out. 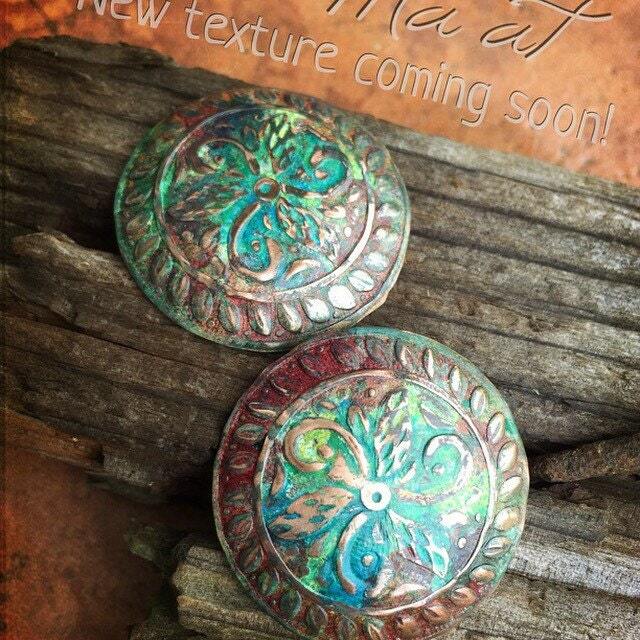 My patina finishes are original to my work! 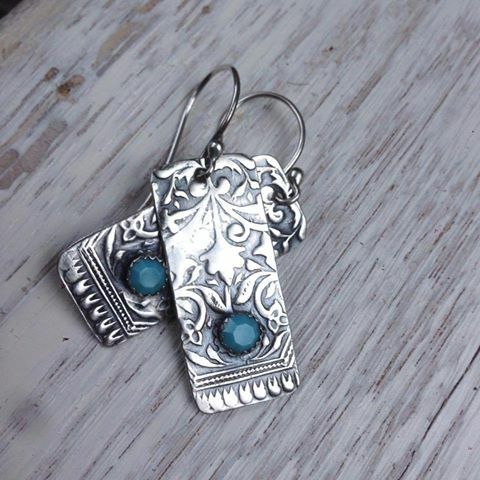 Each piece is hand textured then patina added by hand. Please remember that patina is not an exact science..each set will have it's own unique varigated look...each will be different. I will use the same recipe per color to get as close to your choice as possible. If you would like a picture sent when ready, happy to do so, leave a message when checking out. Unfortunately ETSY only offers 2 variation options ;( ONE HOLE will be added at top of charm, if you would like a different hole(s) set up or no holes, please leave message on the order when checking out. I am happy to dome/curve these Centers IN or Centers OUT - Please leave a message as to what you would like. Visit my website for inspiration and ways to use my components www.bandana-girl.com. 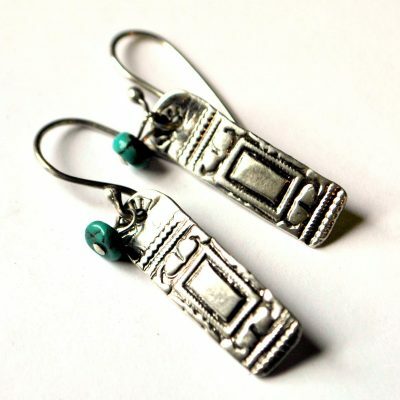 I also offer finished textured jewelry & fun leather designs! Stop by 🙂 Join my mailing list for sales promotions and giveaways!